JUST REDUCED OVER $100K!!! 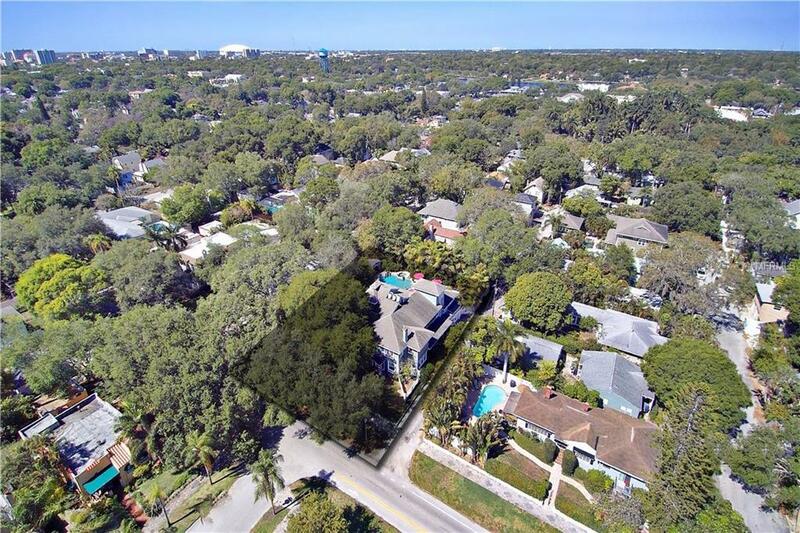 Stunning Colonial Style pool home situated on THREE LOTS in the sought after Old Northeast neighborhood with NO FLOOD INSURANCE REQUIRED and mere minutes to vibrant downtown St. Petersburg. This home has something for everyone! Featuring over 5,800 square feet with 5 bedrooms and 6.5 bathrooms, this estate home is the perfect combination of modern finishes and 1920s elegance with high ceilings, decorative trim, and crown moulding, along with striking hardwood Brazilian Cherry and bleached oak floors. This home is brimming with architectural features! 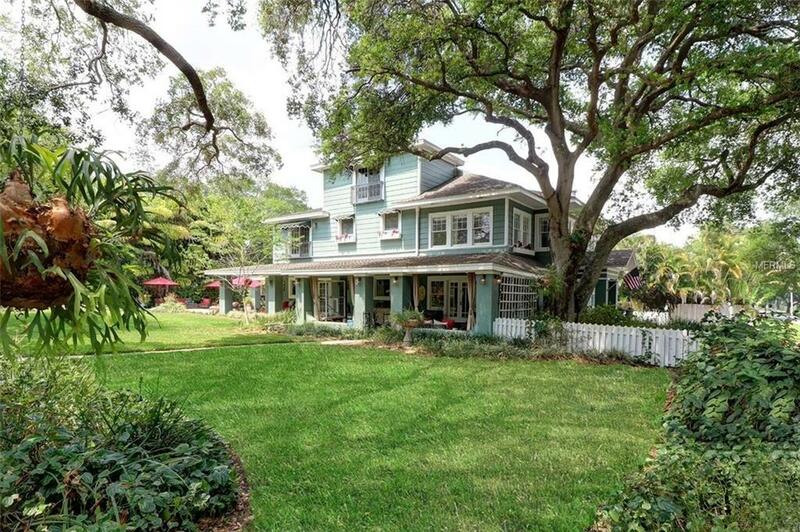 Downstairs includes an elegant formal living room with ornate wood fireplace, formal dining room, Florida room, game room, large family room and a bright designer kitchen with custom cabinets, granite counter tops, stainless steel appliances, and gleaming island with extra seating. French doors open to a sprawling landscaped garden, wraparound porches, and a shimmering pool with waterfall and gazebo. Follow one of two staircases to the second floor which features an elegant master suite overlooking the pool with gas fireplace, updated master bathroom, and large walk-in closet, 4 additional generously sized bedrooms each with an en-suite bathroom. Additional features include an office loft, air-conditioned storage, 2 car garage, pool bath, and workshop. 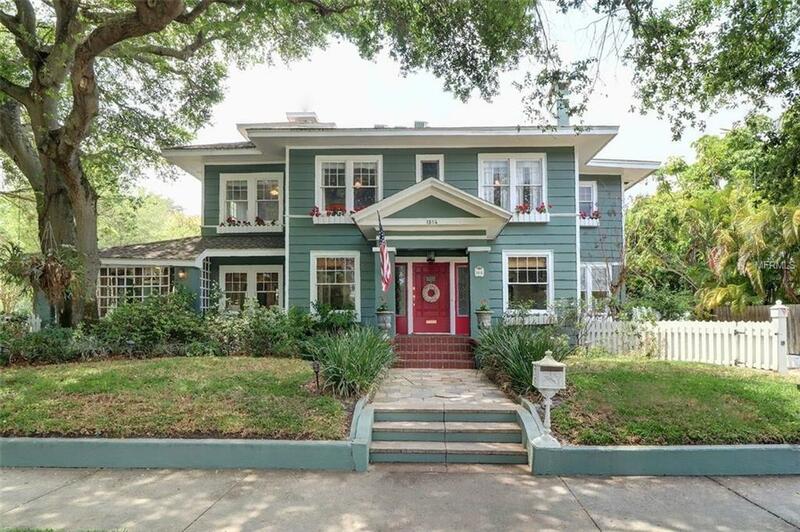 This home is an easy walk or bike ride to Straub Waterfront Park, and downtown St. Petersburg with museums, fine dining, and shops.